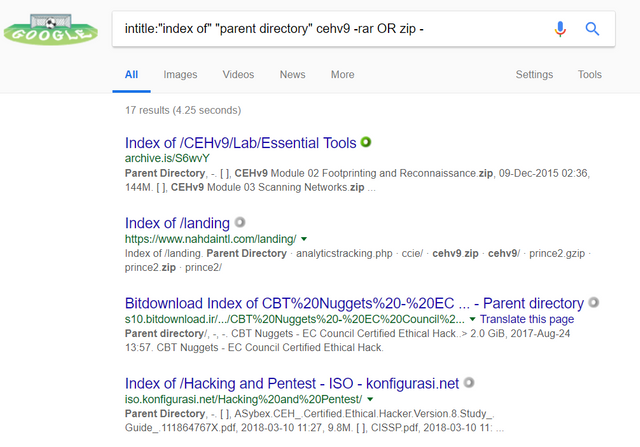 In this post, I will show you how to search for files which you can't get by entering normal queries on Google search engine. This trick uses what we call Google Dork some term it as Google Hacking. The journey of Google Dorks/ Google Hacking gets started in 2002 when Johnny Long started out to gather interesting Google search queries that uncovered vulnerable systems and/or sensitive information disclosures calling them google dorks. Dorks are queries which unknowingly exposes sensitive information/data on the internet in another way they are some queries, writing document you can paste on Google search form to perform a huge task that you can't imagine. Google Dork queries can return sensitive information like username, password, secret files, expose ideal information from Database like credit cards information(FULZ) etc. Most web hacking done on the web are through Google dork. In this post I'm not gonna list out all Google dork queries... watch out in my next post! Just copy the code given below and paste in Google search form, and change the keyword 'YOUR-URL' with your own keyword. intile: Specifying intitle, will inform Google to show only those pages that have the term in their HTML title. For example, intitle:"steem bots" will show those pages which have the term "steem bots" in the title text. Lessons learnt here can be leveraged to be used on different occasions. I have lots of files I've been wanting to download through search engines. But is there a way to download these kinds of files through other search engines (Google aside)? Kindly let me know. 'Cause some files might be available on other search engines and not on Google. Gotta follow you as I can't wait for your next post. I am @teekingtv and I write STEM. 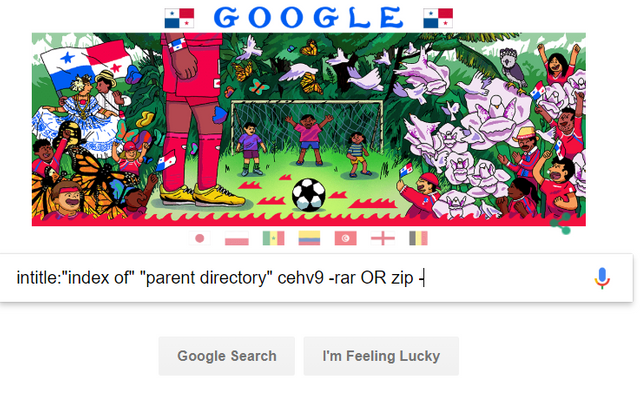 This only works for Google, it is seldom not to find files in Google and find it in other Search engines. Thanks for stopping by.